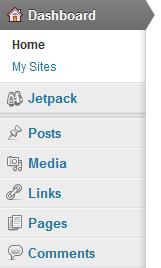 Once you have enabled Jetpack on your blog you can view ‘Site Stats’. Site Stats lets you view information about your blog, including the number of visitors, popular pages and how visitors found your blog. ‘Site Stats’ works without any configuration, however you might want to change some of the advanced settings to suit your needs. 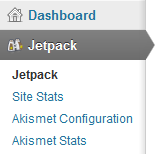 Click the ‘Site Stats’ link in the ‘Jetpack’ section of the Dashboard menu. 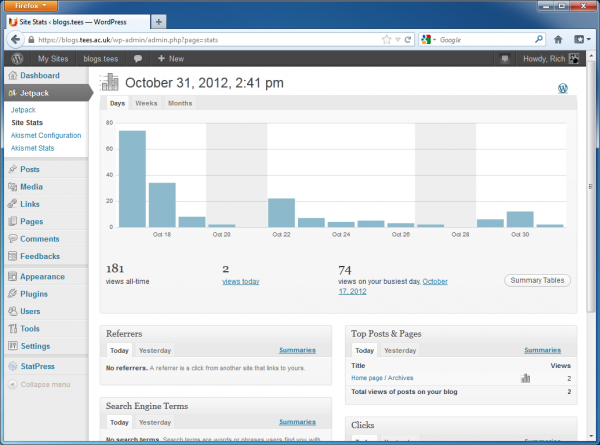 You will then be taken to the ‘Site Stats’ for your blog. 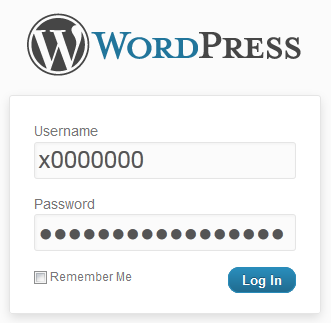 Click the ‘Configure’ icon for ‘WordPress.com Stats’. 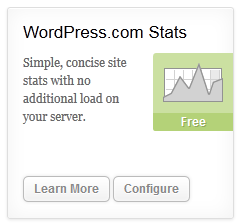 On this page you can configure advanced settings for the ‘Site Stats’. Smiley – Place a tick in the ‘Hide the stats smiley face image’ option. Click ‘Save configuration’ to save the changes.